Dental Implants and Beautiful New teeth in a day! What was nearly impossible just a short time ago, Dental Implants Preston now make it happen hundreds of times each year! You, too, can receive beautiful new teeth, in just one day! with Tooth Implants . Is there any long-lasting missing teeth solution that provides immediate benefits? Our Fast and Fixed implants (same day implants) provide those with missing teeth problems with a smile that they can immediately enjoy within the same day, with long-lasting and reliable results! Immediate implants are loaded and attached to fixed teeth restorations (or prosthetic teeth replacements) within the same day, so there is no need to wait for a few months for the implants to fully be healed and integrated to the surrounding tissue – and no need to go through a period spanning a few months without teeth. The patient can go in the morning to the dentist’s clinic to start the Fast and Fixed implants treatment, and go home later during the day with a much improved (and fully functional) smile. Cost-Effective Implants Treatment – The elimination of the need for more complicated bone grafting, or sinus grafting, procedures translates to a more cost-effective Fast and Fixed implants treatment. A shorter treatment period, along with fewer visits to the dentist, will provide patients with more savings on the overall expenses associated with a dental implant treatment. Are you tired of uncomfortable dentures that collect food under them, cause mouth sores and move or click when you talk? Dental implants Preston offer a modern solution to removable dentures. 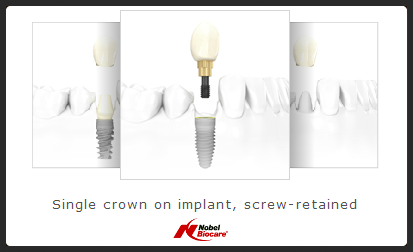 We can give you natural-looking and feeling with tooth implants replacements.